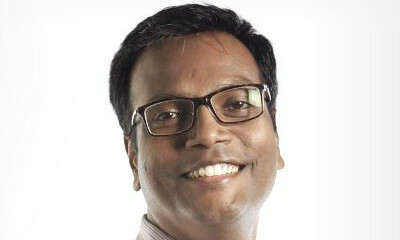 LinEngage, the experiential marketing & activation arm of Mullen Lowe Lintas Group has appointed Sriharsh Grandhe as executive vice president based in Mumbai. Prior to joining LinEngage, Grandhe was with the WPP firm, Possible Worldwide Singapore as the engagement director. At Possible, Grandhe was managing the global rollout of Standard Chartered’s responsive website, a first in the Banking domain across 55 countries in APAC, EMEA & Americas. Grandhe was an AVP and practice head at Wipro where he was responsible for rolling out marketing as a process for several global businesses from Europe, US & Australia. he has also worked in agencies such as iContract, Rediffusion Y&R and JWT. In his new role, Grandhe would be reporting to Vikas Mehta, CMO president group marketing services, Mullen Lowe Lintas Group. LinEngage’s clients include Johnson & Johnson, Franke Faber, Bayer, UltraTech, Castrol, ICICI Prudential and Byju’s to name a few. Up to eight potential startups will get access to a dedicated 5,000-square foot co-working space in Wan Chai and receive support f..
B2B media and events brand Human Resources has announced an ambitious regional expansion plan involving print & digital media, con..